Straddling the long stony spine of West Virginia’s North Fork Mountain is an expanse of natural meadows, edged by red pine groves and gnarled oaks, called Nelson Sods (‘sods’ in local geographic usage means ‘meadows’). 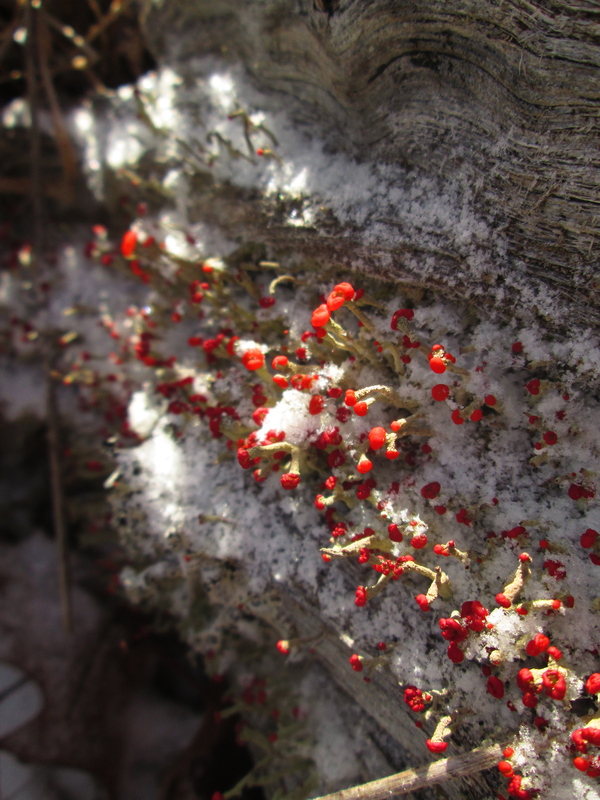 While the views are spectacular, the photos below, taken on a recent hike up on the mountain, are of the smaller wonders found there. 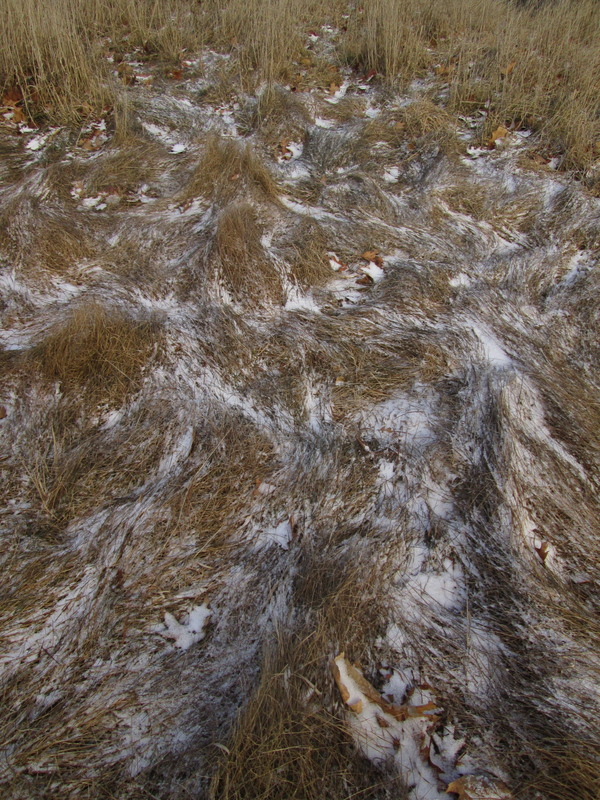 Above: wind-sculpted grasses along the ridgeline. 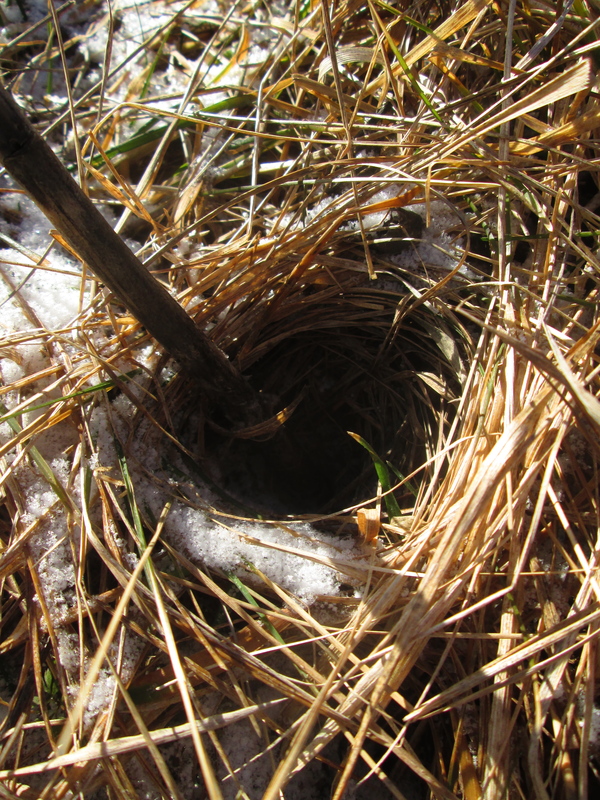 Below: grass woven into a circular shape by the action of wind upon a milkweed stalk. 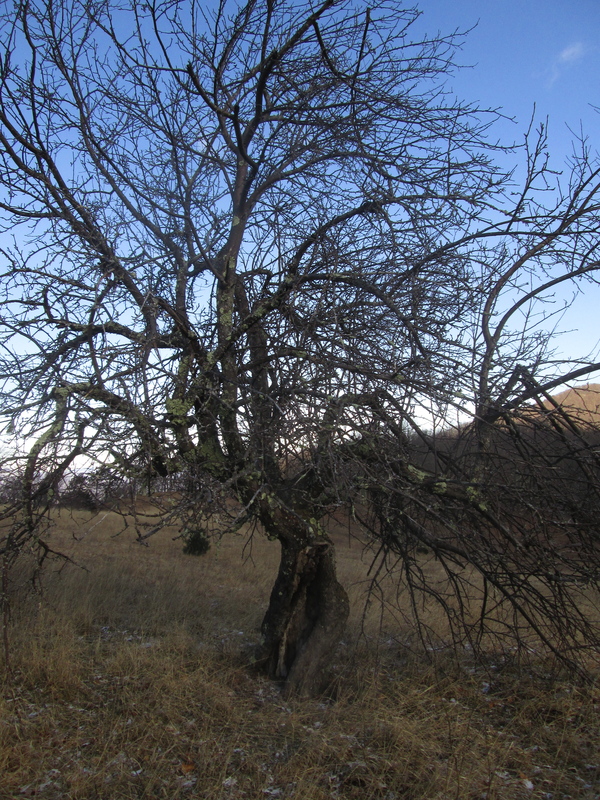 Above: a lone tree in the midst of the Sods. 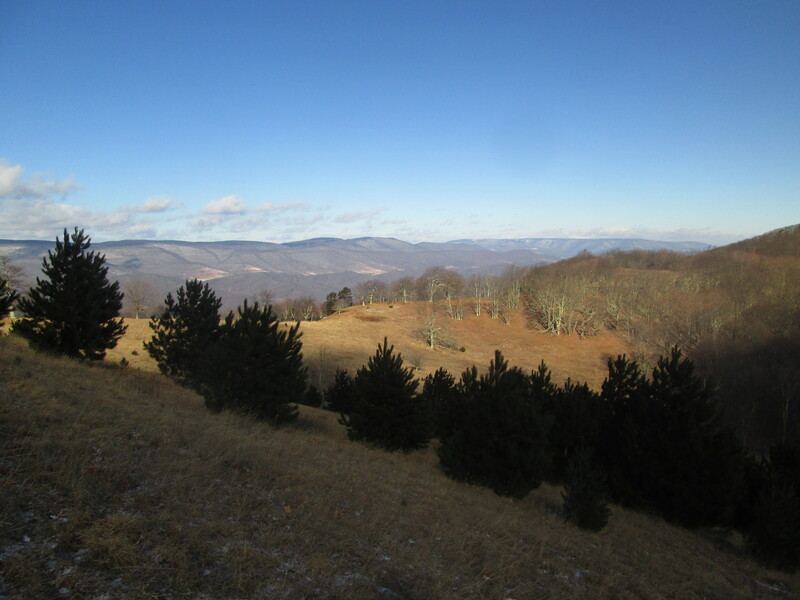 Below: a view across the ridge, red pines in the foreground. 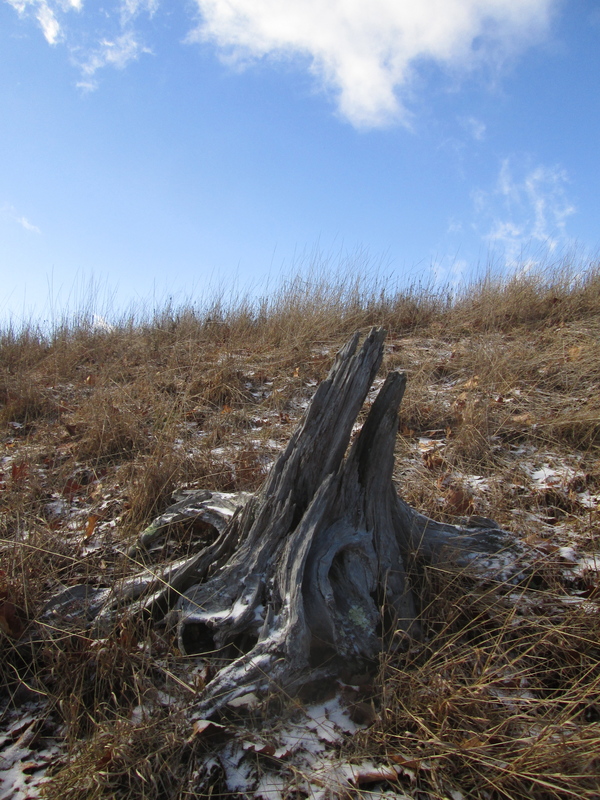 Above: an old pine stump in the Sods. 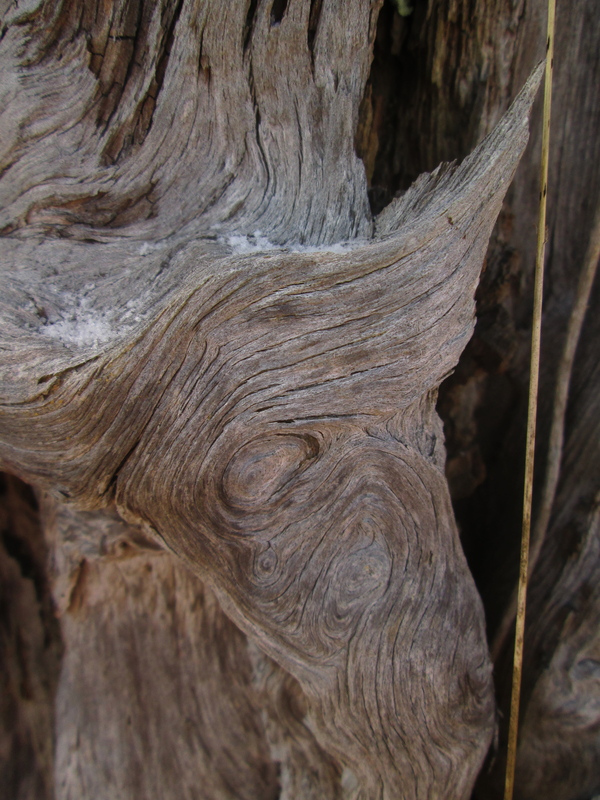 Below: detail of the weathered wood of the stump.